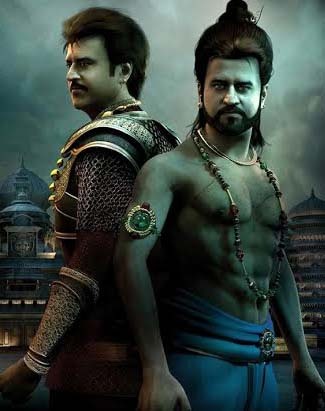 The iconic megastar Rajnikanth was to storm worldwide silver screens once again this week, with his new 3D computer-animated period Tamil film Kochadaiiyaan – The Legend, directed by his daughter Soundarya Rajinikanth. The film was to simultaneously release in various other languages, including Hindi, Telugu, Japanese, Bhojpuri, Bengali, Marathi, Punjabi and English, much like the actor’s earlier superhit Robot. But last minute, its release was pushed two weeks further. Inevitably, the megastar’s grand and glitzy venture will now clash with Heropanti; the debut film of Bollywood star Jackie Shroff’s son Tiger Shroff. Both the films have their leads doing a lot of action and romance. Rajnikanth is enacting three lead roles in Kochadaiiyaan and will be seen romancing Deepika Padukone. Posters and trailers of the film have him portraying a legendary folklore warrior. On the other hand, Tiger Shroff is paired opposite another debutante Kirti Sanon. Heropanti, produced by Sajid Nadiadwala and directed by Sabbir Khan, has Tiger enacting some extreme action scenes. The newcomer, who is trained in martial arts, is riding a wave of high expectations. Coincidentally, his father Jackie also plays an antagonist in Rajni’s film. So that Friday, both the Shroffs will have a release to their credit. Which of these films score better remains to be seen. “In comparison, Tiger Shroff is a rank newcomer making a debut in a simple love story. The boy has just begun making his fanbase. Terming this as a ‘clash’ is an irony,” he remarks.